Tania was born and Bred in Northam, she attended St Josephs School in Northam. After travelling overseas for a couple of years, she settled in Perth where she had her four children. 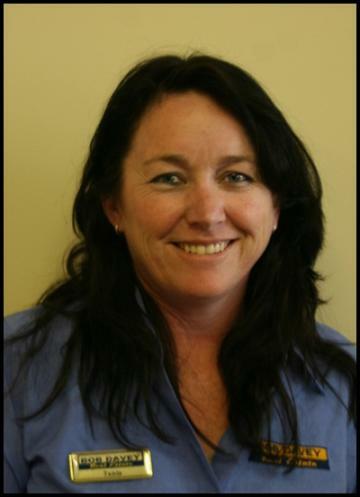 She has recently moved back to Northam, but has been working here for over 6 years, with Bob davey Real estate. She is commited to her family, the long term future of Bob Davey Real Estate, and the rent Portfolio she manages. If you cant Ask Bob, Talk to Tania. This home is suitable for someone with a busy lifestyle or a retiree looking to minimise the work load. A steel framed Brick Veneer home Built Approx 10 Years ago comprising of 3 Bedrooms , 2 Bathrooms with all bedrooms having built in robes, ceiling fans plus an air-con to the main bedroom and freshly new carpets. Throughout living areas you have easy care floors with an open kitchen and dining area. a separate generous sized lounge room with a reverse cycle unit and fresh carpets. 3 bed 1 bathroom fibro & iron home on 1140m2 block. Needing attention this property awaits that buyer willing to give it the makeover it deserves. Ideal first home at a great price! Neat & tidy 3 bedroom 1 bathroom double brick & tile on 876sqm block on a great street of Wongan Hills! 3bedroom, 1 bathroom double brick & tile home on a spacious 1320sqm block. Needing a few small upgrades to this home but for under $250,000 you'd be mad not to look at this beauty! Neat & tidy 3 bed 1 bath & office or 4th bedroom on a 987sqm block. Carpet to main living areas & bedrooms. Reverse cycle A/C in lounge & main bed. Newer style kitchen & dining with large built in pantry. Gas cooking. Electric HWS. Small patio at rear of home. Backyard is a blank canvas - do as you please! Small lean to carport at side of home. 3bedroom 1 bathroom weatherboard & iron home in the centre of town on a generous 1012sqm block - deceiving from the outside but spacious on the inside! Selling as is where is! Beautifully presented 3 bed 2 bath solid double brick & tile home at an affordable price! Beautiful Queenslander home boasting 4 bedrooms, a dressing room, 1 bathroom & an office all under the one roof on a 1012m2 block. Beautifully presented 4 bed 1 bath home on 900sqm block in quiet street at the top end of town. MASSIVE price reduction - owner says SELL!! 4 x 1 weatherboard home sitting on a 1012m2 block in a quiet street close to main shopping complex. An enclosed verandah awaits you at the front of the house before you step foot through the front door to a good sized carpeted sunroom. The home consists of a dining/family room, kitchen with gas cook top & features a Metters stove - great for those colder months! With side access up the driveway you will come to a 7x5 shed with power, water & electric roller door. To the left hand side of the shed is an attached carport for that extra parking space. With a high rental demand in town, this would make a great investment opportunity! This beautiful home on 2 and half acres will not disappoint, 4 bedrooms 2 bathrooms , huge living area , ducted A/C Wood Heating, Walk in robe to the Main bedroom, chook pens water tanks, reticulated gardens, Massive shed, fruit trees and a paddock where the owners will allow two horses. this property has it all. Makle me your new home! Three bedroom property with a shed , dont wait inspect now! huge house - act fast! 6 Double Bedrooms 2 Computer Rooms 2 Bathrooms Dining Family Lounge New Kitchen Dishwasher Ceiling Fans Ducted Aircon Split System Aircons Tile Fire Paved Patio 2 Sheds and a Carport - this property has it all! The house is 3x1 built in robes, separate lounge, family dining kitchen open living, front and back verandah Pet friendly.